Starc, Albin                       11      (+1 U)   15. (Kroat)/JG 52        1. Kranjc, Josip                       9               15. (Kroat)/JG 52        2. Šval, Albin                         3      (+2 U)   15. (Kroat)/JG 52        3. By October 1942 his score had reached nine confirmed and three unconfirmed kills, of which two were later upgraded. Albin Starc is sometimes credited with 5 confirmed and 3 unconfirmed victories (Fekets, M.: 4. zrakoplovna lovačka skupina v bojích na východě 1941 až 1944 & Zrakoplovni satnik Cvitan Galić - Part I-IV, in Revi, Nos. 32-35/2000). Josip Kranjć is sometimes credited with six confirmed victories (Fekets, M.: c.d.). Albin Šval is sometimes credited with one confirmed victory (Fekets, M.: c.d.). Messerschmitt Bf 109E-4 'Green 5' of Oberleutnant Albin Starc, 15. (Kroat)/JG 52, Eupatoria, May 1942. Messerschmitt Bf 109G-2/R6 'Yellow 11' of Oberleutnant Albin Starc, 15. (Kroat)/JG 52, Gukovo, May 1943. Messerschmitt Bf 109G-6 'White 5' of Unteroffizier Josip Kranjć, 15. (Kroat)/JG 52, Karankut, November 1944. Ciglic, B. - Slavic, D.: Croatian Aces of World War 2, Aircraft of the Aces 49, Osprey Aerospace, London 2002. Cony, Christophe: Les Fiat G.50 Croates, in Avions, No. 137, 2004. Fekets, M.: 4. zrakoplovna lovačka skupina v bojích na východě 1941 až 1944 & Zrakoplovni satnik Cvitan Galić - Part I, in Revi, No. 32/2000. Fekets, M.: 4. zrakoplovna lovačka skupina v bojích na východě 1941 až 1944 & Zrakoplovni satnik Cvitan Galić - Part II, in Revi, No. 33/2000. Fekets, M.: 4. zrakoplovna lovačka skupina v bojích na východě 1941 až 1944 & Zrakoplovni satnik Cvitan Galić - Part III, in Revi, No. 34/2000. Fekets, M.: 4. zrakoplovna lovačka skupina v bojích na východě 1941 až 1944 & Zrakoplovni satnik Cvitan Galić - Part IV, in Revi, No. 35/2000. Fekets, M.: Le capitaine d'aviation Cvitan Galic et le 4e Groupe aérien de chasse lors de son déploiement sur le front de l'Est de 1941 á 1944 - Part I, in Air Magazine, No. 03/2001. Fekets, M.: Le capitaine d'aviation Cvitan Galic et le 4e Groupe aérien de chasse lors de son déploiement sur le front de l'Est de 1941 á 1944 - Part II, in Air Magazine, No. 04/2001. Fekets, M.: Le capitaine d'aviation Cvitan Galic et le 4e Groupe aérien de chasse lors de son déploiement sur le front de l'Est de 1941 á 1944 - Part III, in Air Magazine, No. 05/2001. 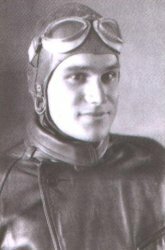 Magnus, A.: Air Aces Home Page, World War II - Croatian aces, http://users.accesscomm.ca/magnusfamily/airaces1.htm. Michulec, R.: Messerschmitt Bf 109, 6. část, AJ-Press, Gdańsk 2003. Polák, T.: Ve znaku trojlístku - Part I, in Plastic Kits Revue, No. 20/1993. Polák, T.: Ve znaku trojlístku - Part II, in Plastic Kits Revue, No. 21/1994. Polák, T.: Sous le signe des Ustachis, in Aéro Journal, No. 09/1999. Prien, J. - Stemmer, G. - Rodeike, P. - Bock, W.: Die Jagdfliegerverbände der Deutschen Luftwaffe 1934 bis 1945 - Teil 6 Tielband II Unternehmen "Barbarossa" Einsatz im Osten 22.6. bis 05.12.1941, Struve Druck 2003. Wood, T.: Combat Claim & Causalties, Allied & Axis 1939-1945, http://www.lesbutler.ip3.co.uk/tony/tonywood.htm.